Nigerians and indeed members of the global community will soon witness a sustained battle in Nigeria on the matter brought by opponents of the scientific method of ensuring food security in the universe, through modern biotechnology (genetically modified organisms). Modernity and basic facts of science will confront seeming fiction and out-dated traditions in the epic battle. Opportunity exists now for the courts to filter falsehood and propaganda from incontrovertible fact, of realities and issues that are globally accepted and verified at the moment. The media also needs to do much, in terms of vigilance, given that from the onset, in the papers filed; a lot of distortions are discernible already. The battle, now at the preliminary stage, started last week when 17 civil society groups in Nigeria released details of a suit they filed in court against the National Biosafety Management Agency (NBMA), for granting Monsanto Agricultural Nigeria Limited permit to release and place in the market; genetically modified-insect/pest resistant cotton and maize in the country. Details were contained in The Guardian report of September 19, 2017. The defendants in the suit are the National Biosafety Management Agency, Minister of Environment, Monsanto Agricultural Nigeria Limited, National Biotechnology Development Agency, Minister of Agriculture, Attorney General of the Federation and National Agency for food and Drugs. The plaintiffs who include the Registered Trustees of Health of Mother Earth Foundation, Women Environmental Programme and Initiative for Peace, Empowerment and Tolerance; in an originating summon filed at the Federal High Court, Abuja, are seeking a legal redress on the permit granted by the first defendant to the third and fourth defendants, for the purpose of commercial release of Bt. Cotton (MON 15985) and confined field trial with NK603 and MON89034 x NK603 maize in Nigeria. This is quite an unfortunate and an embarrassing development in Nigeria. Much information and facts being subdued exist in the contrary. The first issue which ought to be settled on the subject matter centres on the degree of acceptability of GMO foods, globally, as an alternative approach to fight hunger. A ready answer exists in the findings of an on-going survey being conducted on Twitter by the Singularity Hub. The survey has so far revealed that 71% of the respondents believe that genetically modified organisms (GMOs) are needed to feed the world population of 9.7 billion by 2050. So far, it has been noted that 23% of the respondents; 1,338 in total as of writing, believe that there is a need to know more, while only 6% think that GMOs are too dangerous or unsafe. There is also the issue of Verdict of a tribunal at The Hague to settle. Recent reports incidentally indicated that the Hague International Tribunal in reference, notably, was an informal people’s tribunal headed by five professional international judges. The aim of the Tribunal, as reported, was to give a legal opinion on alleged environmental and health damage caused by the multinational Monsanto, to add to the international debate on whether or not to include the crime of Ecocide into international criminal law. It was packaged also as an opportunity to give people all over the world a well-documented legal file to be used in law suits against Monsanto and similar chemical companies. The event came against the backdrop of ICC chief prosecutor, Fatou Bensouda, saying she intended to deepen her focus on environmental crimes such as land grabs. The hearings of the Tribunal took place on October 15th and 16th 2016 in the Institute of Social Studies (ISS) in The Hague. Five of the judges heard 30 witnesses and experts from 5 continents with various questions, one of which was; ‘’Could the past and present activities of Monsanto constitute a crime of ecocide, understood as causing serious damage or destroying the environment, so as to significantly and durably alter the global commons or ecosystem services upon which certain human groups rely’’? The legal opinion was delivered by the Judges on April 18th 2017. 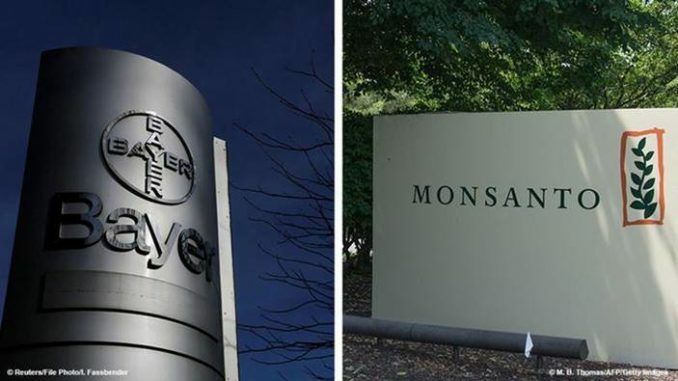 Among others, it stated that “Monsanto’s activities and products cause damage to soil, water and to the environment more generally,” the tribunal replied in a statement on Tuesday. It urged international lawmakers to “precisely and clearly assert the protection of the environment and the crime of ecocide.” It said that if “ecocide” was added in international law, the reported facts could fall within the jurisdiction of the International Criminal Court based in The Hague. Some renowned experts on modern agriculture have also expressed opinions that questioned the verdict of the five judges at Hague. “Do we really wish to have a science-based society or should we let ourselves be governed by prejudices and misconceptions” was one of the questions asked by Roberto Defez, a molecular microbiologist at the Italian National Research Council, and Dennis Eriksson, a researcher at the Swedish University of Agricultural Sciences. They asked this question in their article in Euractiv, which was published after the EU court, ruled that prejudices on GM foods are unfounded. In the article, as reported, they narrated the story of two farmers in North-eastern Italy who wanted to cultivate GM maize. Giorgio Fidenato, one of the farmers, had complained that Italy had denied him the right to grow GM maize (MON810) because of an Italian law passed in 2013. On September 13, the Court of Justice of the European Union (CJEU) delivered a judgment that the Italian law had no legal basis and thus was invalid. “This sentence is a milestone. The CJEU judgment has now presented a great opportunity to start recovering a rational, science-based approach. Support for GMO and modern biotechnology has continued to grow. Indeed, the technology to produce GMOs is already old and mainstream. “Global Status of Commercialized Biotech/GM Crops: 2016”, continues to demonstrate the long-standing benefits of biotech crops for farmers in developing and industrialized countries, as well as consumer benefits of recently approved and commercialized varieties. In his own words, the International Service for the Acquisition of Agri-biotech Applications (ISAAA) Chair of the Board, Paul S. Teng said that; “Biotech crops have become a vital agricultural resource for farmers around the world because of the immense benefits for improved productivity and profitability, as well as conservation efforts”. In its annual report released in Beijing on May 4, 2017; ISAAA showcased the 110-fold increase in adoption rate of biotech crops globally in just 21 years of commercialization – growing from 1.7 million hectares in 1996 to 185.1 million hectares in 2016. Examining other benefits of biotechnology, ISAAA reports that the adoption of biotech crops has reduced carbon dioxide (CO2) emissions equal to removing approximately 12 million cars from the road annually in recent years; conserved biodiversity by removing 19.4 million hectares of land from agriculture in 2015; and decreased the environmental impact with a 19% reduction in herbicide and insecticide use. In developing countries, planting biotech crops has helped alleviate hunger by increasing the incomes for 18 million small farmers and their families, bringing improved financial stability to more than 65 million people. Biotechnology or genetically modified (GM) crops have been offered as a modern crop development alternative to address the onslaught of pests and diseases, the vagaries of weather and other challenges to growing crops. Cassava mosaic disease (CMD) and cassava brown streak (CBSD) for instance, are still the most challenging constraints for cassava production in the Sub-Saharan Africa. Some Ugandans describe them as HIV for cassava. Although, there are CMD resistant cassava varieties, it is still a challenge since a good number of farmers have not yet accessed them. Annual losses due to CMD and CBSD are estimated at $60 Million in Uganda alone. There is a great need for both CBSD and CMD resistant cassava. Currently, Uganda is one of the countries working towards eliminating the diseases through several projects including the Virus Resistant Cassava for Africa (VIRCA) Plus. The VIRCA Plus project is a collaborative effort involving the Donald Danforth Plant Science Center; the National Crops Resources Research Institute (NaCRRI) in Namulonge, Uganda; and the Kenya Agricultural and Livestock Research Organization (KALRO) in Nairobi, Kenya. The fourth confined field trial (CFT) was established with a goal to develop farmer-preferred varieties that are resistant to both diseases by crossing the transgenic lines (resistant to CBSD) and non-GM varieties (resistant to CMD). The trial also provided vital data for agronomic performance. Uganda has again, harvested another successful GM Cassava Trial. Contrary to the notion that only farmers from developed countries are reaping the gains of modern biotechnology about 85% of these farmers are small landholders in the developing countries of China, India, and the Philippines. In India, it is a significant sign that Bt. 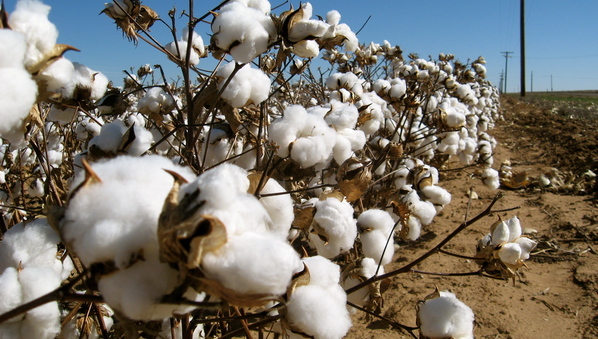 cotton is attracting the young with over 50% in the 21-40 age brackets among those surveyed in the cotton-growing areas of Punjab, Andhra Pradesh, and Maharasthra. While Bt. cotton production is still a male-dominated activity, there is growing involvement of women in GM crop commercialization in China. Based on focus group discussions, more and more women are attracted to the benefits of growing Bt. cotton as there is less labour involved than would otherwise be needed for pesticide applications. Interestingly, in the Philippines, even college graduates are venturing into GM maize production, thus finding it a viable income-generating alternative. Farmers in China and the Philippines report two to three times higher income from planting GM crops while Indian farmers obtain twice the income over traditional varieties. The amazing fact is that farmer adoption of Bt. cotton is now more than 95% of total cotton production in China and India while 80% of Filipino yellow corn farmers are planting biotech maize. Higher economic and yield benefits, freedom or reduced infestations from cotton bollworm or corn borer, and dramatic reduction in pesticide use and frequency of spraying are the principal motivators for adoption of GM cotton in the three countries. (Pocket K No. 49: Adoption and Uptake Pathways of Biotech Crops by Small-scale Farmers in China, India, and the Philippines). Four countries in Europe — Spain, Portugal and Czech Republic Slovakia — grew more than 136,000 hectares of biotech maize in 2016, an increase of 17% from 2015, reflecting EU’s need for insect resistant maize. Also in 2016, Brazil increased biotech area of maize, soybean, cotton and canola by a remarkable 11% – maintaining its ranking as the second largest producer of biotech crops after the United States. In Brazil, biotech soybeans account for 32.7 million hectares of the 91.4 million hectares grown worldwide. In 2016, 26 countries in total, including 19 developing and 7 industrial countries, grew biotech crops. Developing countries grew 54% of biotech crops, compared to 46% for industrial nations. www.isaaa.org. “Biotechnology is one of the tools necessary in helping farmers grow more food on less land,” explained ISAAA Global Coordinator Randy Hautea. “However, the promises of biotech crops can only be unlocked if farmers are able to buy and plant these crops, following a scientific approach to regulatory reviews and approvals” he stated. It should be noted that among African nations, where regulatory processes have traditionally created barriers to biotech crop adoption rates, advances are being realized. In 2016, South Africa and Sudan increased the planting of biotech maize, soybean and cotton to 2.66 million hectares from 2.29 million hectares in 2015. Elsewhere on the continent, a new wave of acceptance is emerging as Kenya, Malawi, Ethiopia, Ghana, Swaziland, Uganda and Nigeria make advances in regulatory review and commercial approvals for a variety of biotech crops. Be this as the case may be, why all these ranting and skirmishing over NBMA permit to Monsanto for the purpose of commercial release and confined field trials of GM crops in Nigeria? Do we still hold on to the belief that our agricultural and food systems are compromised and corrupted? Are we still ardently committed to forging erroneous notion of Monsanto’s plot to takeover Nigeria’s agriculture through surreptitious approvals? It should be noted that for more than eight decades, advances in science have seen accelerated development, including the application of biotechnology in agriculture, to improve overall livelihood, productivity and food security. Granted that biodiversity is indeed our strength, all efforts therefore should be concentrated towards ensuring its adequate protection and preservation through effective biosafety regulations, rather than pedalling unscrupulous concerns and perceptions that might imperil acceptability. We should realize that the eras of distractions are gone and Nigeria must not be isolated from science. Just early this month, as reported in The Kenya Gazette, issued on September 8, 2017, the National Biosafety Authority of Kenya has approved the field trial of Bt. cotton MON 15985 events. This was published by the Authority of the Republic of Kenya and it also listed the approved GM applications from 2016-2017. The Bt. cotton project aims to release the insect protected cotton and its varietal derivatives in Kenya. (The Kenya Gazette Vol. CXIX No. 132). In light of this development, using Nigeria as a case study presumably, the implication would have been various objections trailing the permit on the basis of inadequacy in addressing the issues of biodiversity and natural resource protection. Thus, by now, the Kenyan’s biosafety authority should have been recommended for a redress or proscription or possibly quashed as an official response and objection to a cooperate takeover. Incidentally, Kenyans are different. A great problem really besets Nigeria. Dr. Felister Makini, Deputy Director General (crops) at the Kenya Agricultural & Livestock Research Organization (KALRO), noted that African women play a critical role in ensuring food security. She urged the government to make farming easier for them by providing modern tools such as biotechnology. In her speech she said; “As African women, we are the ones who suffer most whenever drought and food shortages strike, despite the availability of technological solutions to these problems. We need to speak with one voice and advocate for a predictable policy environment. I have children and a family to protect. I cannot advocate for something that I know would affect them” she concluded. On her part, during the inaugural Women in Biosciences Forum held in Nairobi, Kenya on April 20, 2017 Prof. Caroline Thoruwa, Chairperson, African Women in Science and Engineering (AWSE), noted that for Africa to advance in agricultural biotechnology, women must be involved. “It is time to tell the public about the positive side of biotechnology’’ she stated. It is very unfortunate that despite the increased adoption rate across the continents, Africa inclusive, some individuals are still harrowing the NBMA for taking a frontline action, sharing their knowledge and demonstrating commitment to ensure effective biosafety in the applications of modern biotechnology for food security, economic growth and sustainable environment. The onus is on the court, to decide on the right action; to protect our health and the biodiversity and increase crop production and availability of food in Nigeria using the existing global standards, or to sustain fictitious and unfounded claims and trade wars promoted by biased and unscrupulous few, under the smokescreen of patriotism. The world is watching and Nigeria must not lose this battle. Edel-Quinn Agbaegbu is the Executive Director, Every Woman Hope Centre, Abuja.